2. Once the questionnaire is received a selection of available appointment dates and times will be provided. The below map is an approximation of service area as delineated within the white lines. 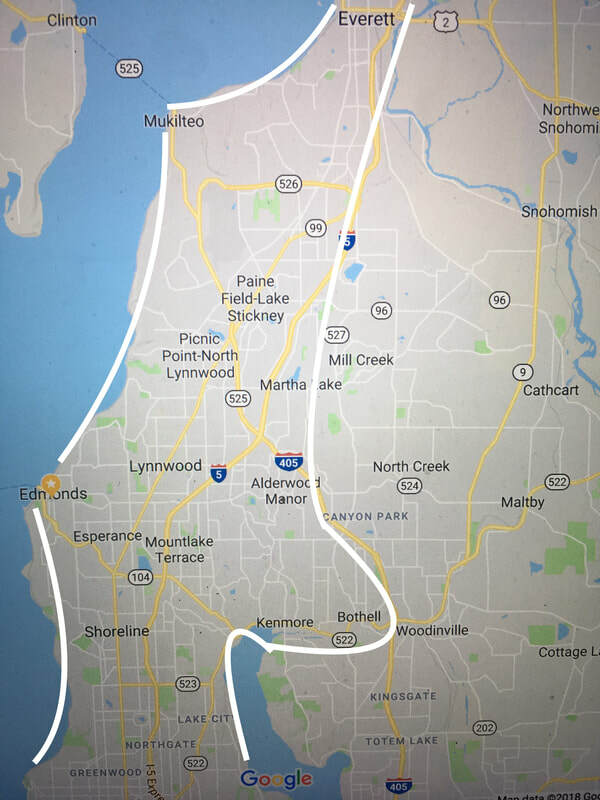 Serving as far north as within Everett and as far south as within the Northgate region. As far west as the Puget Sound and as far east as within Bothell. If you are just beyond the outline, feel welcome to contact and Pawsitive Transformation can let you know if service is available to you. A PayPal invoice will be sent via email for you to secure the appointment of your choosing.